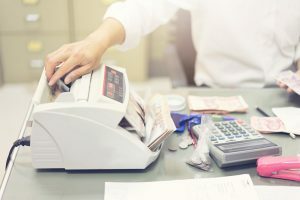 There is no doubt that money counter machines are some of the must-have machines for businesses that deal with the large cash. Over the years, the technology for these machines has increased tremendously. Today, they will not only count the number of the bill in a given lot but will also detect various currencies as well as denominations. For buyers who want to invest in the dollar bill counting machine, there are many features that they should look. That includes the speed of counting, hopper size amongst other features. However, there are key features that most people ignore but are very crucial. As part of the systems in the machine, the alert system enables operators to use the machine correctly. The system is connected to the control system and helps alert to the operator depending on the commands. In the modern machine, most of the functions are connected to this system. For instance, when you key in the wrong command, the machine will alert you through the system. That is how you know that you have done something wrong and you can rectify that. Other dollar bills counting machine is designed in a way that they alert the user when they are ready after switching on. All this helps the user to operate the machine with ease. The second important of having a good alert system is accuracy in counting. It is through the alerts that the user is able to tell that there is a problem with the lot of banknotes. So if there is a problem with half notes or chain notes, the first thing that helps the user identify the problem is the alerts. Otherwise, you might be doing the same thing all the time without knowing that there is a problem. With that, you will be able to get accurate figures. The modern dollar bill counting machine runs on software. These are very sensitive programs that should be used as per the set guidelines. That is why any attempt to disrupt the system triggers the alarm to stop further attempts. Therefore, with the right a good alert system, it is easy to work with the software with minimal damage. This entry was posted in Blog on 2019年1月14日 by rimrock.